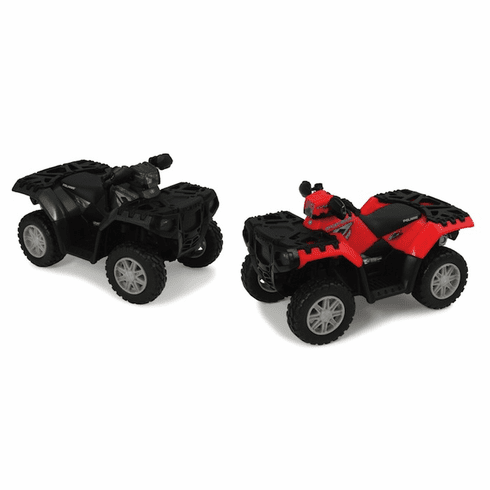 The 1:16 Big Farm Polaris ATV set features exceptional detail and great play. This two piece set features an 850 and a 550 ATV. Key features include authentic decals, lights, sounds and steerable front wheels.